The SPECapc® for Maya® 2017 benchmark, released on September 27, 2017, is all-new performance evaluation software for systems running Autodesk Maya 2017 3D animation software. On December 13, 2017, SPECapc released an updated version of the Maya 2017 benchmark that improves the way multi-sample anti-aliasing (MSAA) is measured. Results from V1.0.6 of SPECapc for Maya 2017 are not comparable to those from previous versions of the benchmark. 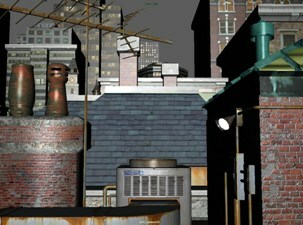 The benchmark includes nearly 80 individual tests that reflect the processes used to model, animate and render scenes within the application. Composite scores are provided for CPU, GPU interactive, GPU animation and GPGPU performance. There is an option to run the benchmark at 4K resolution. Sven animation – 10 copies of a character model, rigged for animation. 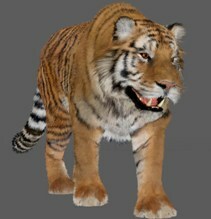 Tiger – A 1.3-gigabyte realistically rendered tiger model. Bifrost bridge fall – A Bifrost simulation of a bridge falling into water. Sven space crash – A Bifrost simulation of a spaceship crashing into water. Sven textured model – A textured character model that measures retesselation performance. Sven space animation – An action-scene animation featuring the Sven character. Jungle escape – Another action-scene animation featuring the Sven character. Toy store – A walkthrough of a city scene. The SPECapc for Maya 2017 benchmark is available for immediate download. It is free for everyone but sellers of computers and related products who are not members of SPEC/GWPG; these vendors are required to purchase a $2,500 vendor license. The benchmark can be used by Maya 2017 customers to guide purchasing and configuration decisions, and by hardware vendors to optimize performance for systems running Maya 2017. It is supported on Microsoft Windows 7 and Windows 10 64-bit platforms. Users must have a licensed or trial copy of Maya 2017 Update 4 to run the benchmark.